If you like Edge of Yesterday, please share our story! We appreciate your interest. Please download our logo, flyer, and other promotion materials for Edge of Yesterday and our interactive learning web site. Get creative, get engaged, and subscribe to our News from the Edge, for regular updates about our evolution as the original storytelling and learning site for teens! Edge of Yesterday is a multimedia teen time-travel adventure integrating interactive digital strategies to promote engaged learning. 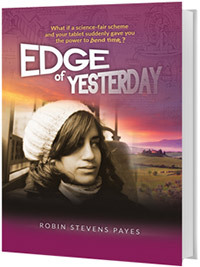 Vision: Edge of Yesterday seeks to advance the human spirit, enhance metacognition (knowing our minds), foster new abilities to tackle big problems that confront our world and better connect students with their world. Mission: to foster, demonstrate and encourage new approaches for discovery, problem solving and innovation through a combination of critical thinking and connected learning. Payes has an engaging heroine in Charley. She's confident, hardworking, and curious; though she worries about homework, friends, and boys, she also is consumed with finding answers to serious questions like who we are and why we're here. Charley's friends are well-drawn and believable too. Charley Morton, a contemporary middle school girl, models the attributes of curiosity, self-confidence, moxie, and vulnerability, all wrapped into one credible science loving eighth grader. She is not to be missed! The Edge of Yesterday is an incredible portal in providing youth a unique window into the past to experience multiple disciplines of STEM and STEAM (arts and design integration) through the lens of history. Congratulations. Bending time and dedication have been your superpowers. This is the author’s story as much as it is Charley’s! Lovely to see your amazing work continue. Looks like great fun for kids interested in STEM. I think the starting Edge of Yesterday adventure sets us up for a good series! :-). The characters are EXTREMELY well drawn and the plot has a very good pace to it. 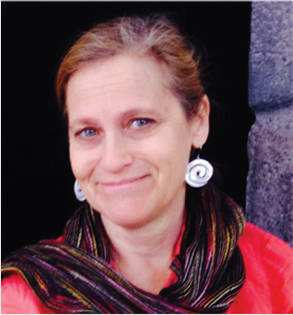 Robin Stevens Payes is a novelist, science writer and leadership coach who believes stories are the stuff of our humanity, and transforming stories can change lives.